With so many world-class beaches and theme parks, is it really such a surprise that Florida is one of America’s most frequently visited states? Perhaps the most beloved beach for tourists in all the Sunshine State is Miami Beach. The city of Miami Beach consists of both artificial and natural islands on the coast of the Atlantic Ocean and Biscayne Bay. Every year, millions of tourists (including thousands of A-list celebrities) flock to Miami Beach’s South Beach district to work on their tan and indulge in all that this exceptional city has to offer. In this piece, we’ll go over the best things to do in Miami Beach and explain how to get here from anywhere in the world. Without a doubt, the most popular area in Miami Beach is the South Beach district. This is the beach to get your suntan, dip your toes in pristine waters, and enjoy that legendary Miami Beach lifestyle. There are also tons of water sports and adventure tours you could book before arriving in South Beach. A few popular things to do here include snorkeling, renting a bike, riding a speedboat, and parasailing. Currently, South Beach is number one on TripAdvisor’s list of the top things to do in Miami Beach. A visit to Miami Beach just isn’t complete without relaxing on this stunning stretch of sand. Need a little retail therapy? Well, you’re in luck! Miami Beach has plenty of impressive shops to check out all around South Beach. The most well-known shopping district in Miami Beach is the Lincoln Road outdoor pedestrian mall. Located between 16th and 17th Streets, the Lincoln Road Mall consists of about seven blocks with nearly 400 different shops and restaurants. A few of the more popular retailers include Forever 21, J. Crew, H&M, and Zara. If you get a bit hungry while shopping around, you could stop at the many restaurants nearby like Doraku Sushi, Dolce Italian, or MAYA Tapas and Grill. All shop-a-holics must plan a stop at the Lincoln Road Mall on their tour of Miami Beach. Believe it or not, Miami Beach has the largest collection of Art Deco architecture and art in the world. The best place to take in this city’s immense storehouse of Art Deco designs is in the Art Deco District at 1001 Ocean Drive. 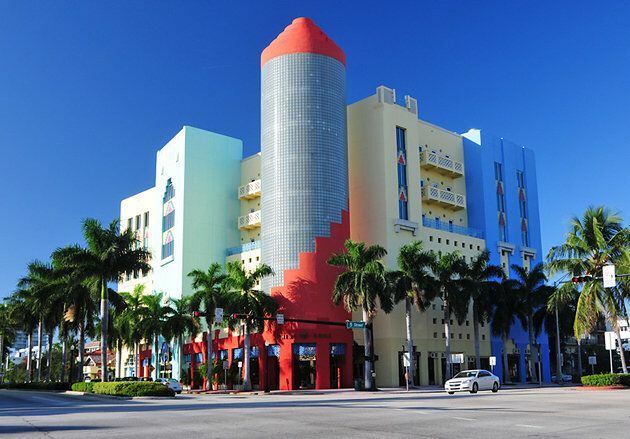 Visit the friendly staff at the Art Deco Welcome Center to learn more about Miami Beach’s rich artistic heritage and to schedule a walking tour. While you’re in the area, you might be able to take in a special lecture or exhibit on Art Deco. Be sure to check out the Miami Design Preservation League’s website before you visit this district to see all the special events scheduled during your visit to the area. Another one of the many things to do in Miami Beach is taste your way through some of the city’s finest restaurants. As you might expect, there are plenty of high-class Cuban restaurants throughout this city, but you’ll also find a surprising array of Asian and European restaurants here. In particular, the Espanola Way area has plenty of superb Italian restaurants. People looking for some cheap eats that locals enjoy should stop by David’s Café, 11th Street Diner, and Big Pink. For visitors looking for finer cuisine, the top-rated restaurants in the city include Lynia, StripSteak by Michael Mina, and Byblos. Anyone looking for great live entertainment in Miami Beach should definitely see what’s going on at the Jackie Gleason Theatre. This legendary theatre at 1700 Washington Ave. welcomes some of the hottest acts in live music in the city. There’s an incredible amount of history in this theatre dating back to the 1950s. A few legends that graced this theatre’s stage include Frank Sinatra and Jack Benny. The theatre became nationally recognized when Jackie Gleason was allowed to film comedy programs here in 1964. Although Live Nation now owns the theatre, the Jackie Gleason Theatre continues to make history with its exciting lineup of musical talent. All high-end fashion lovers reading this article probably already know that the powerful Italian designer Gianni Versace was killed outside his Miami Beach Home in 1997. Although his incredible mansion isn’t opened to the public, many visitors take a picture by the home. In fact, the Casa Casuarina is considered one of the top photographed spots in all of Miami Beach. Anyone who wants to visit will find this house at 1116 Ocean Drive. 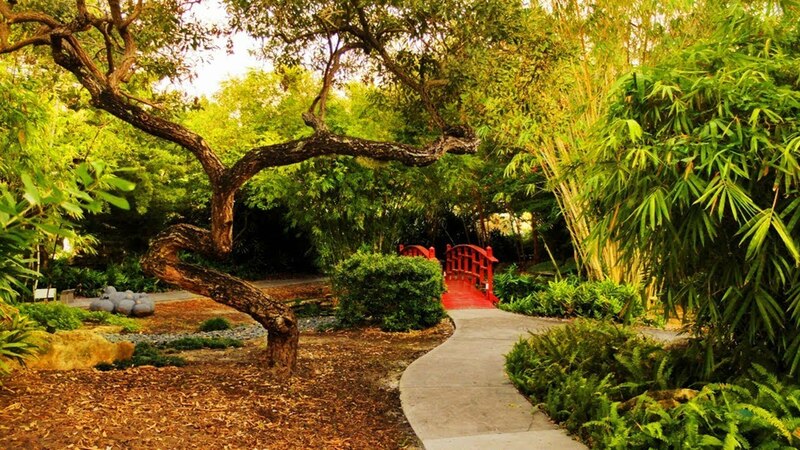 One great way to de-stress on your journey through Miami Beach (besides relaxing on the beach, of course) is to pay a visit to the Miami Beach Botanical Garden. Located at 2000 Convention Center Drive, this 2.6-acre botanical garden has all the greenery and subtropical plants you’d expect from a place like this. However, you might be surprised to know that there’s a Japanese Zen garden inside here as well as an impressive orchid collection. So, if you ever feel like getting your Zen on in Miami Beach, now you know where to go! Now that you know all the things to do in Miami Beach, it’s time to learn how to actually get there. The closest airport to Miami Beach proper is Miami International Airport (MIA). If you can’t fly into MIA for any reason, the next closest airport to Miami Beach is Fort Lauderdale International Airport (FLL). People traveling into MIA should have no trouble driving into Miami Beach. All you have to do is get onto FL-112 East and follow it onto FL-907 in Miami Beach. Get off at Exit 5 and then continue onto FL-907 and get on 17th Street towards Collins Avenue. Hopefully this list of things to do in Miami Beach has helped you plan your voyage to this exquisite resort city. Once you get here, you’ll see why Miami Beach remains one of America’s most famous and highly regarded vacation destinations. Just don’t forget to pack plenty of sunscreen and a pair of UV-protecting sunglasses. You’re definitely going to need as you surf, suntan, and stroll around this luxurious city.